It’s that time of year again -- over-scheduled calendars, holiday meal preparations, family gatherings, and lots of extra shopping. It’s a time when to-do lists stretch long and patience runs short. This is the time when we all especially appreciate the courtesies extended by others. When others are lifted by the thoughtfulness of us. 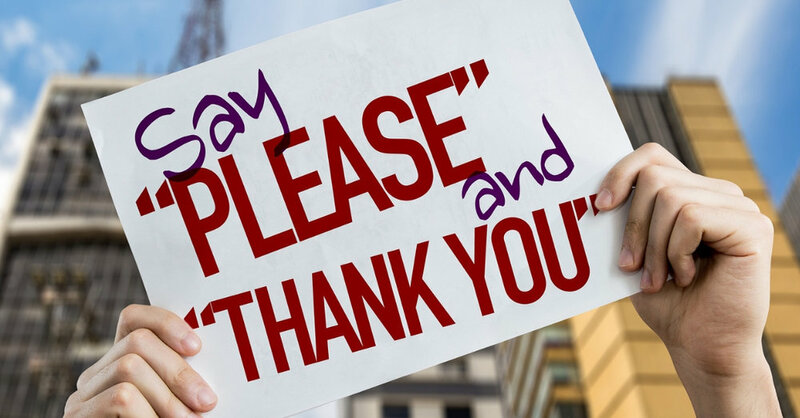 Good manners can ease social tension, strengthen relationships, and basically help everything in life run a little smoother. Social grace encourages more of the same, bringing a spirit of unity in a sometimes- hectic world. My husband and I just returned from Europe, and were warned that we might be met with rudeness. I am happy to report that we were treated with kindness everywhere we went. People were happy to assist us with the transit systems, give us directions, and count out our change. At one point a nice young man asked us how we were being received by his fellow Europeans, encouraging us to be honest. He was pleased that we were enjoying everyone’s hospitality. Our trip was successful in large part because of the good manners and helpfulness extended to us, and we were made to feel welcome in a foreign land. Social Graces. In Europe are transit stations signs that say, “Mind the Gap”, referring to the gap between the train and the platform. It means be aware so you don’t stumble, hurt yourself, or lose something. In America we say “mind your manners” perhaps so we don’t stumble or hurt ourselves or others socially. Be mindful, be aware. Did someone send you an invitation with an RSVP request? If so, respond so they know if they should plan on your attendance. That simple courtesy helps them determine how much food they might need for their special event. Beyond the basic Please and Thank You, be mindful of those who may need your assistance and your kindness. Is someone sitting alone? Are they new and looking confused or lost? Just a moment of your time might make a world of difference to someone else. Ask yourself this question next time you’re at a gathering: Am I monopolizing the conversation? Do I know anything about this person to whom I am speaking? Let others tell their story – ask about them or their family. You’ll be surprised how quickly they warm to you, and how much they will enjoy the conversation. Driving. OK I’m just going to come out and say it: the turn signal is a fabulous invention, and it is so polite to let people know when you are planning to make a turn. Oh, and by the way, it’s the law. Driving around town, especially during the holiday season, can be a tense and frustrating situation. Do your best to be courteous to other drivers: let someone in, don’t pull out in front of another car (especially if you drive slowly), and most importantly, be patient with other drivers. Recognize that we all make mistakes. If we have been the rude driver we can acknowledge that by waving to the driver we may have offended. Simple courtesy while driving isn’t just the polite thing to do, it is also a matter of safety. These simple driving habits can make a difference in your overall attitude and well-being when navigating through congested traffic. At the end of this recent trip my husband and I took, I had the pleasure of being the recipient of someone’s generous manners: While waiting for my flight home, I had a handful of coins that I needed to get rid of. I went into a shop and bought snacks in the amount that I thought was about right. At checkout, I laid my coins on the counter and proceeded to count, feeling quite inadequate with the task, and worried that I was going to hold up the line. The kind woman at the register asked if I would like her help. I gratefully replied in the affirmative, and she proceeded to count all that was needed, cooperatively leaving me with just a couple of coins. Her graciousness invoked in me a very heart-felt thank you for her patience and assistance, to which she replied, “You’re most welcome, have a wonderful flight, darling.” I left that country with a smile on my face and warmth in my heart. As the song goes, it’s the most wonderful time of year. A time when we should all have a smile on our face and warmth in our heart. This is the season of goodwill, of kindness and generosity. I sincerely hope we all are considerate and thoughtful of each other. A little bit of grace goes a long way for another. As we are all travelers in this life together, may we be aware and mindful of each other’s needs. I wish you all a lovely, brilliant, smashing holiday season, and may you be a darling to everyone you meet. In this third and final part of my Journaling series, I want to share with you some effective writing tools I’ve acquired over the years. These tools will help transform your written wants into reality. Whether you realize it or not, you are either living with intention or you are merely being reactive. When you are reactive, you are a slave to your emotions. But when you are a conscious creator you are taking charge - you are taking responsibility for your life. Reflect. Before you design your life going forward, pause to contemplate the last year. What were your highs and successes? Take a moment to record how great that felt. Then examine briefly your lows, your pains. What did they teach you about yourself? There is always something valuable to be gleaned from difficult circumstances, so jot down those things so you can take those valuable lessons going forward. Select a Mantra. Choose a word or a phrase that will highlight the year to come. If, for example, you suffered poor health last year, you might list the word STRENGTH, WHOLENESS, or maybe VITALITY. This mantra has the power to change your course, so choose your word or phrase thoughtfully. Journal in specific detail. Just as a house plan requires detailed instructions, so does your successful life. If it’s a better job you want, describe that job in as much detail as possible. This will help your mind construct the realization of your design. Remember that you create with God. We often don’t understand our potential, but God does. You weren’t meant to navigate this world alone, so when you map out this new year remember that He is your guide as you learn and grow. Trust and surrender. Once a desire has been stated, give it time and don’t panic if things don’t happen immediately. “A watched pot never boils”. Or something better. My friend and mentor Carolyn Cooper taught me this. At the bottom of every situation you create, you should write “or something better” at the end. No matter how big we dream, we always manage to limit ourselves. All things are possible, so make sure you include this phrase in your writing. Practice the magical art of Gratitude. Be grateful no matter what shows up. This life is your journey, and you should be learning something every day. Sincere gratitude for even the smallest of manifestations has an uncanny way of clearing the way for bigger and more magnificent things. Whatever you put out there comes back. This is the universal Law of Vibration in action – make sure your thoughts, words, and actions are on that high vibration you want to match. Envision what you want in your mind. Seeing it play out on the stage of your mind, while experiencing the happy emotion that accompanies it will help cement your goals into every cell of your being. If you are not actively creating your life, you are reacting to what life hands you. This puts you in defense mode where your desires find it hard to break through and become realized. When you write to create you are using one of the tools God gave you to be both proactive about your life and to respond with spiritual maturity to anything that comes your way. Writing is healing. Writing is recording the highlights, defeats, and lessons of your life. It is a way to de-stress, to calm, to clear a cluttered mind. And it is a powerful means to bring about a happy, successful, healthy, and prosperous life. Self-help writer and leadership speaker Robin Sharma nailed it with this powerful quote. We’ve all been on both the receiving and giving end of inspiring words. Or hurtful ones. So we know the boost we get when someone tells us we are amazing and will succeed. Conversely, we know how it feels when someone deflates us with a disparaging remark. We also know how bad we feel when it gets back to us that something we said off-hand to another caused offense and pain. we really do intend to hurt someone. Regardless of the reason, when we verbalize something it is out there forever. Ouch! Take a moment to breathe and think. As you are thinking, realize: this situation is going to pass, but the words you utter may be imprinted on another person for the rest of their life. Do you really want to tear down that person? Does it bring about a good result, and are your words of disdain how you want to be remembered? Even just a moment of reflection before we respond to a person can save a relationship, can lift another. Toby Keith has a great country song, “I Wanna Talk About Me.” So let’s talk about “me” for a minute. 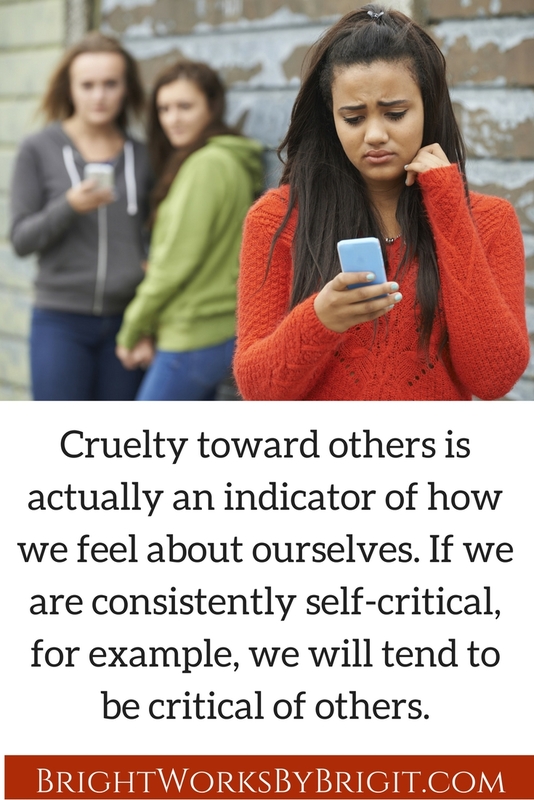 Cruelty toward others is actually an indicator of how we feel about ourselves. If we are consistently self-critical, for example, we will tend to be critical of others. When we figure out how to be less critical of ourselves, to forgive ourselves, and to nurture our personal growth, we instill a healthy sense of well-being. That healthy sense of well-being has an uncanny way of kicking Ego to the curb, which then enables us to better extend sincere kindness, patience, and forgiveness to others. Let’s examine the correlation between positive self-talk and a healthy mind/body. Do you catch yourself saying things like, “I’m not good with names”, “Nothing good ever happens to me”, or “my body’s falling apart”? Did you know that when you do this, your being and your body believe it? The more you say things like this, the more it will manifest. Do you want to be better with names, feel young and vibrant, enjoy your healthy body? Then change the way you talk to yourself. Even if you don’t believe it at first, do it. Over time your body and mind will believe it, and things will change. I recently worked with a client who told me his knee was bothering him. It became apparent that in order for his knee to feel better, he was going to have to change his self-talk. He was going to have to make a new habit – one of gratitude and appreciation toward his body, and specifically, his knee. As we discussed his assignment, he acknowledged how well it resonated with him. Before he even got started on it, he knew that his knee would respond to the positive words he would speak to it. This might sound too simplistic, but it works. 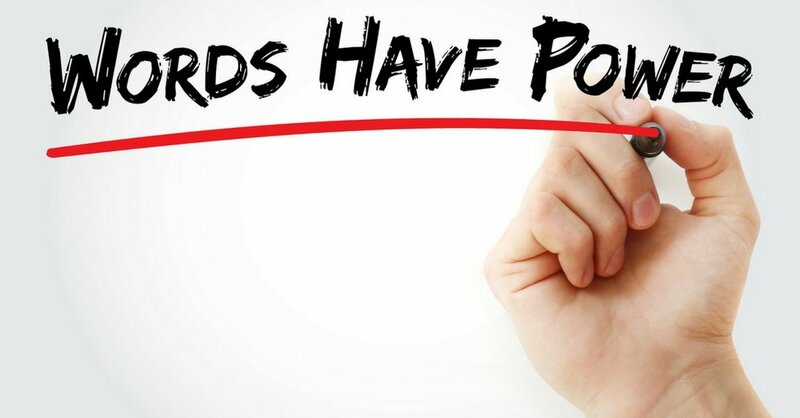 Words are a powerful force, that over time, form new neuropathways in the brain. When we repeatedly express gratitude, repeat affirmations, or express encouragement, the brain develops new thought. This new energy becomes a belief, and if that belief is positive, it will bring about healing. Choose an issue that you are having trouble with – it can be anything. Then carefully choose some words that will invite and encourage the outcome you desire. Write these words down, and say them to yourself frequently. Further the influence of this experiment by extending this new kindness to others. We all like to be heard and understood. We enjoy knowing that our opinions are valued, and that our communications with others are effective and fulfilling. In starting the New Year with self-improvement in mind, I’ve compiled from friends, colleagues, personal experience, as well as Forbes, Inc, a list of 5 suggestions that will help our interactions with others be rewarding and productive. Make eye contact, put distractions aside, and resist the tendency to think of a response while the other person is talking. Let them finish their complete thought. This can be hard to do, especially if the speaker is being critical of us. When we refrain from becoming defensive, we can then understand what is motivating them, and what their true issue is. Only then will we be able to verbalize a healthy and productive response. Let your speaker feel valued and interesting – people love to talk about their own experiences. When listening to a child, get down on their level in order to have eye contact, giving what they say importance and value. 2. Clarify. My friend January Sadler is a nurse who works with six different doctors in a cancer clinic. There is no room in her profession for misunderstandings. She verbally repeats the details of the Drs’ orders so there is no chance of a patient getting the wrong medication or dosage. Thankfully, not all details of clear communication are this potentially dire, but we can avoid needless misunderstandings and frustrations simply by clarifying the information we’ve been given. Use phrases such as, “I hear you saying…”, repeating back what they have said. This gives validation to the person, as well as allowing clarity and accuracy from the conversation. 3. Find your own voice. This from Forbes. Use language that is distinctly your own. Of course you want to use correct grammar, especially when giving a presentation, but resist the temptation to fixate on eloquence – be YOU. People want real. People respect and follow real. Refrain from disguising who you are, and people will recognize and honor you for it. 4. Be open, honest, and straightforward. Helpful advice from my good friend Nicole Graf, founder of Expect a Victory. No one appreciates hearing things through the grapevine. If you have a concern with a person, summon some courage and approach them directly. Sometimes our tendency is to “beat around the bush”, thinking that we are softening our message. But oftentimes this results in confusion and frustration, as the listener has to try to interpret our mixed signals. Start this kind of conversation with a sincere compliment, telling the person what they are doing right – they will appreciate the praise, and be more apt to listen to and resolve your complaint. 5. Keep your word! Don’t make promises you know you won’t or can’t keep. Nothing will cause you to lose credibility faster. Always follow through. Sometimes we genuinely intend to fulfill a commitment, but unforeseen events prevent us from keeping our word. A rule of thumb: it’s better to say nothing or delay your communication until you’re certain your actions will ring true. I’m sure there are other things you can add to this list, according to your circumstances and distinct personality traits. But this should give you a good start to the New Year as you assess your relationships, and evaluate how you can improve your communications with those around you. Remember how nice it is to be heard, complimented, and understood – reflect that back to others and watch your interactions and relationships thrive.